← What Is Cellular Health? For over 20 years, vision driven and family owned Nordic Naturals has been committed to delivering safe and effective omega oils worldwide. To this day, their mission remains to produce superior quality, great tasting, award winning omega-3 fish oil in true, highly absorbable triglyceride form for enhanced utilization. 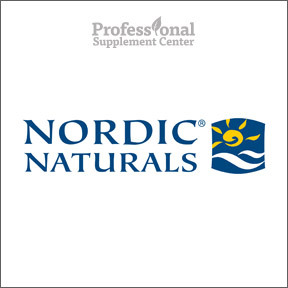 To ensure consistent quality, Nordic® Naturals adheres to and exceeds European Pharmacopoeia Standards (EPS), as well as the voluntary standards of the Council for Responsible Nutrition (CRN) and the Global Organization for EPA and DHA Omega-3 (GOED). Their enzymatic and oxygen-free processing technologies ensure the integrity and exceptional freshness of the fish oil and assures no fishy odor, taste or aftertaste. Nordic® Naturals is deeply committed to the health of the oceans and, as such, utilizes only wild caught, sustainably sourced fish in compliance with the Norwegian fisheries management system. Years of research have led to the use of the natural stabilizers vitamin E and rosemary extract to best preserve and enhance the long-term freshness of the oils. Every batch is third party tested for contaminants and environmental toxins, including heavy metals, dioxins and PCB’s. As it relates to flavoring, taste, efficacy, purity, freshness, concentration and sustainability, Nordic® Naturals was ranked the #1 fish oil brand in Norway. ProOmega® Lemon 1000 mg – This popular, high potency omega-3 formula has been shown to clinically support cardiovascular health and the body’s natural anti-inflammatory response. Double strength EPA and DHA provide increased therapeutic support for organ health, joint mobility and overall wellness. Gluten free, Non-GMO, naturally lemon flavored formulation. Nordic Omega-3 Gummies™ – Suitable for children aged 2 and older, these chewy fish oil gummies provide support for brain, eye, nervous system and immune system development. Natural tangerine flavor, fruit and vegetable colors and sweetened with organic sugar. No artificial coloring, flavoring or preservatives. Gluten, yeast and milk derivative free, Non-GMO formulation. DHA Junior® – Strawberry – Sourced from Arctic cod liver oil, these pearl sized, natural strawberry flavored soft gels are suitable for children aged 3 and older to support proper development of the brain, eyes, nervous system and immune system. This formula includes healthy levels of 100% natural vitamins A and D. These great tasting, gluten free, Non-GMO, naturally flavored and naturally preserved soft gels may be chewed or swallowed for easy dosing. Omega-3 Pet™ Soft Gels for Dogs – Derived exclusively from wild anchovies and sardines, these soft gels provide an excellent source of EPA and DHA for optimal pet health support. Omega-3 fatty acids support cellular, immune, joint, heart, brain, eye and skin and coat health. Naturally preserved, Non-GMO formulation. This entry was posted in Home and tagged DHA Junior® - Strawberry, Nordic Naturals (15% OFF! ), Nordic Omega-3 Gummies, Omega-3 Pet™ Soft Gels for Dogs, Professional Supplement Center, ProOmega® Lemon 1000 mg, Vitamins and supplements, www.professionalsupplementcenter.com. Bookmark the permalink.